ATHENS, Ala. – A father who turned to songwriter as a form of encouragement after the loss of his son will be among the artists sharing their talents at a free event on Friday to raise awareness about childhood cancer. September is Childhood Cancer Awareness Month, and Athens Arts League’s monthly Art After Hours event will use art to honor those in the community who are impacted by childhood cancer. This Art After Hours event will be Sept. 14 from 6-9 p.m. at High Cotton Arts. Washington Street in front of High Cotton Arts will be blocked for vendors and music. The guest performer will be John David Crowe, whose son, Noah, died from his battle with brain cancer at the age of 4. 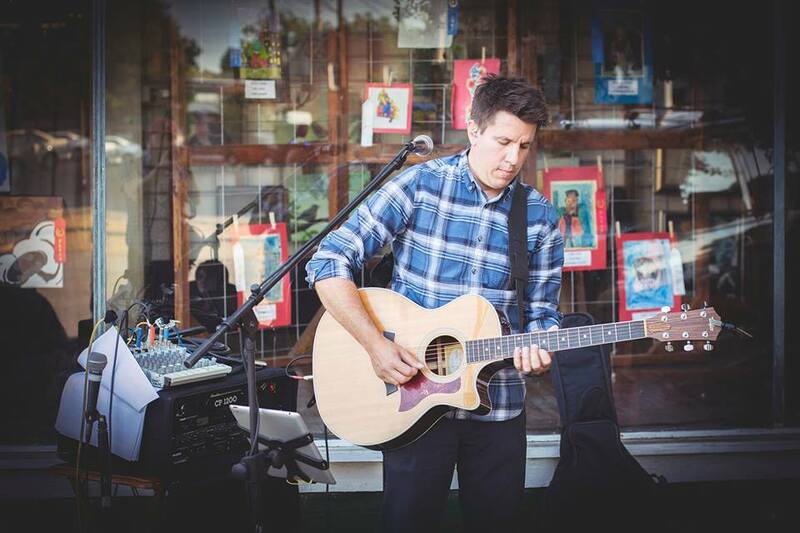 Crowe is a speaker, songwriter and the creative arts pastor at Friendship United Methodist Church. He also owns Innovative Media Pros. When describing his 2015 album Beauty from Ash, Crowe said the death of his son was the hardest chapter of his life. Kristie Williams, who created Eli’s Block Party Childhood Cancer Foundation, will have a booth to provide information about the foundation’s efforts and coloring sheets for children. Williams’ son Eli died at age 12 from brain cancer. “Kristie started the event Superhero Day in Athens to celebrate our youngest heroes who battle cancer, so we want to encourage those who attend Art After Hours in September to dress as a superhero or wear their favorite superhero T-shirts to show their support,” Hollman said. ● Sylvia Vann’s Little Kitchen Food Truck will have Cajun dishes and other dishes for sale. This is the last Art After Hours event of the season. Athens Arts League provides this free community event once a month from April through September to provide access to art opportunities for the area. To learn more about Athens Arts League or how to become an art patron, send an email to athensartsleague@gmail.com.